We take the trash out of takeout! Get started now! Download our app. Start skipping the trash today for just $25/YEAR! Check out (or return) a box! We’re in 28 Durham Restaurants! 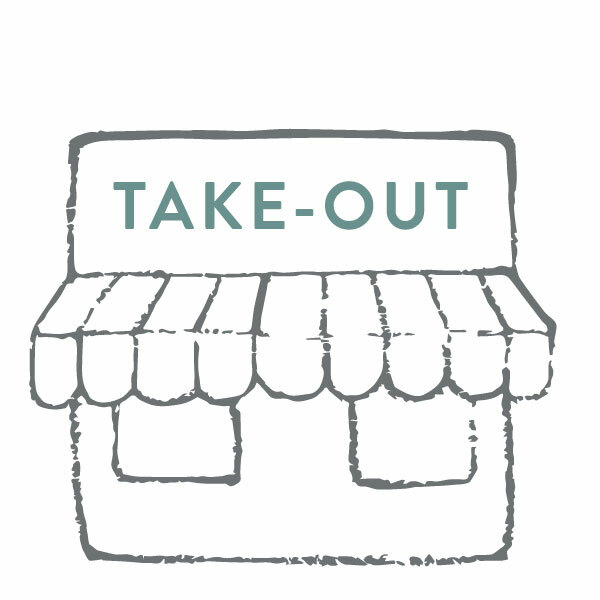 Become a member and join the TAKEOUT REVOLUTION! 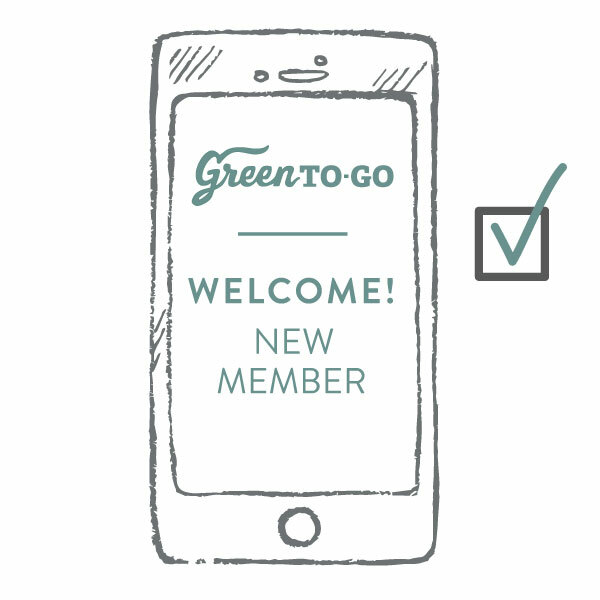 GreenToGo is a membership-based service! Once you join, you’ll have check-out privileges at the participating restaurants! That’s the easy part! Choose any of our participating restaurants to take-out and drop off your GTG box. Order take-out (or have leftovers). Show you’re a member & check out a box using your mobile phone! 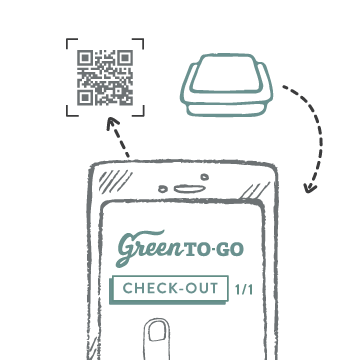 Enjoy the GTG trash free dining experience, then simply return your box to any participating restaurant or drop box to check it back in with your phone! How are GreenToGo containers washed and sanitized? We are so grateful to be partnered with one of Durham’s most beloved nonprofits, TROSA, during this period of our growth. They have kindly lent use of their commercial dishwasher. We are fully-permitted by the Durham County Health Department to provide you fully sanitized containers. Carry out with confidence! 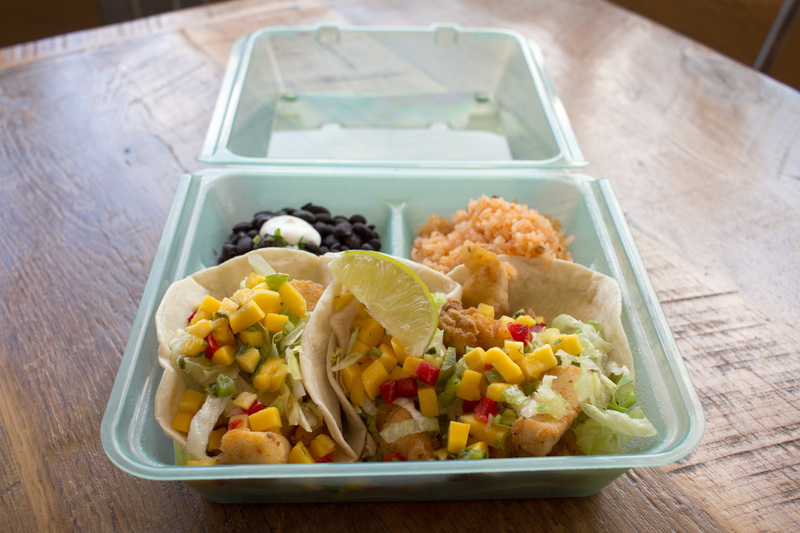 Not only will you look smart and stylish, but these stackable and leak proof containers take the worry out of transporting your favorite eats. Good for you, good for Durham. When you use GTG, you’re eliminating Polystyrene (styrofoam) from your diet and from our environment. Each box replaces, at a minimum, 1,000 single use boxes. Learn the ins and outs of Styrofoam here. We’ve taken Durham’s trash problem into our own hands with this community developed, grassroots solution. Be a part and start trash free dining today! 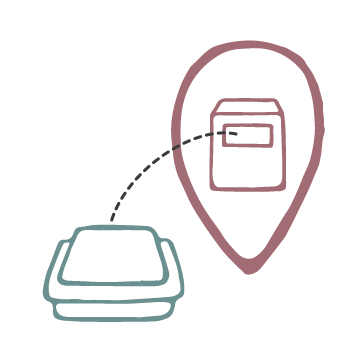 Eliminating waste from landfills by preventing it in the first place! It’s the only sure-fire solution to our really trashy problem!